0:00 – Intro, Welcome, Thanks. DVD Beaver Dressed to Kill review. Posted on September 13, 2015, in Criterions, Film, Podcast. Bookmark the permalink. 8 Comments. I related to this film by previously sitting on a 2 day jury for a drug charge. I saw first-hand the assortment of individuals that hold someone’s future in their hands. Although we arrived at the correct decision there were shameful moments of immaturity and questionable comments not unlike this film. This was one of the first Criterions I ever bought. Fantastic movie and another great podcast. Thanks, Antoine. Somehow I missed this comment too. I guess it has been a busy week. Thanks for sharing your experiences! We have a rule that we don’t discuss the subject before we cast, so it was a surprise to find that nobody had served on a jury, but your perspective helps us understand that 12 Angry Men is not too far off from reality. Hi Simon, sorry for the delayed response. Really appreciate the kind comments. We are really enjoying doing this, and I hope that shows through the podcast. We do feel we are getting better with each episode, so I appreciate you sticking with us. I watched and dismissed My Dinner With Andre my freshman year of college which left me unenthusiastic about checking out the other Shawn / Gregory films in the collection. I had this podcast on as I was washing the dishes today and when you played the clip from the film I was surprised to find myself shedding a few tears. Maybe I just needed a few more years of real life to experience before appreciating the film in full, but now I’m very excited to give it another go. 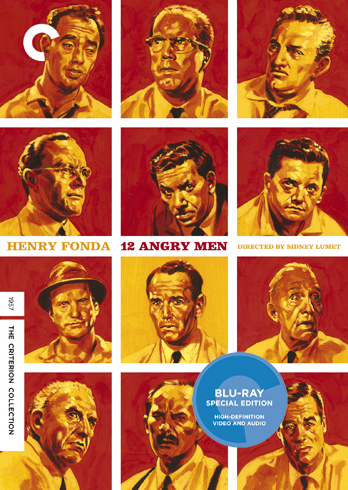 I’ll have to pick up the Blu Ray – or maybe even the box set – next time I’m Criterion shopping. Great comment! I agree that the film is tough to consume, but there are some moving moments. I really like the clip we played on the show, but there was another good one from Andre that we almost used. Like we mentioned about Ozu, this is the type of film you coat grow into. It resonates even more upon reflection. Glad you enjoyed the episode!